Winter holidays 2012 / 2013 - Book Early and Save! Book your ski holiday early for the Winter 2012 / 13 season and take advantage of the widest choice of flights and accommodation and some fantastic savings available only from Balkan Holidays. We have special offers on most hotels and early booking discounts of up to £150 per couple; just check our Winter 2012 / 13 website for details. Our special offers for the next winter season include free ski and board storage in Bansko, half price ski or board carriage, free lift passes in Bansko and Borovets, free night skiing in Pamporovo, half price ski and board packs in Borovets, and free child places in all Bulgarian mountain resorts. There is no better place to book your family ski holiday than with Balkan Holidays, because we offer great value for money family ski holidays. Kids ski free, free child places, third adult discounts, family insurance and single parent reductions will all help you to get the best value winter holiday with your family. 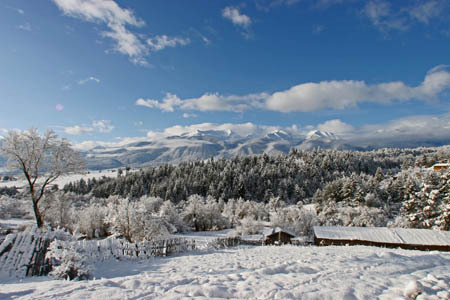 Don’t miss out - book your winter holiday to Bulgaria for the Winter 2012 / 13 season now!